Poppa Bear Custom Cycles is one of the best custom motorcycle shops serving northeastern Maryland and south central Pennsylvania. We put our heart and soul into our custom work. If you can imagine it, chances are, we can make it happen. Parts Custom motorcycle parts allow you to take your bike or trike to the next level, and make it uniquely you. Side Cars A custom side car lets you bring someone else along for the ride, in comfort. Braided Cables Custom braided cable is stronger and give you more braking power. Accessories Custom motorcycle accessories range from fenders and fender bras to luggage racks and more. Custom Painting We use the highest quality paints on every custom motorcycle paint job. We also do custom painted motorcycle helmets to match your bike or trike. 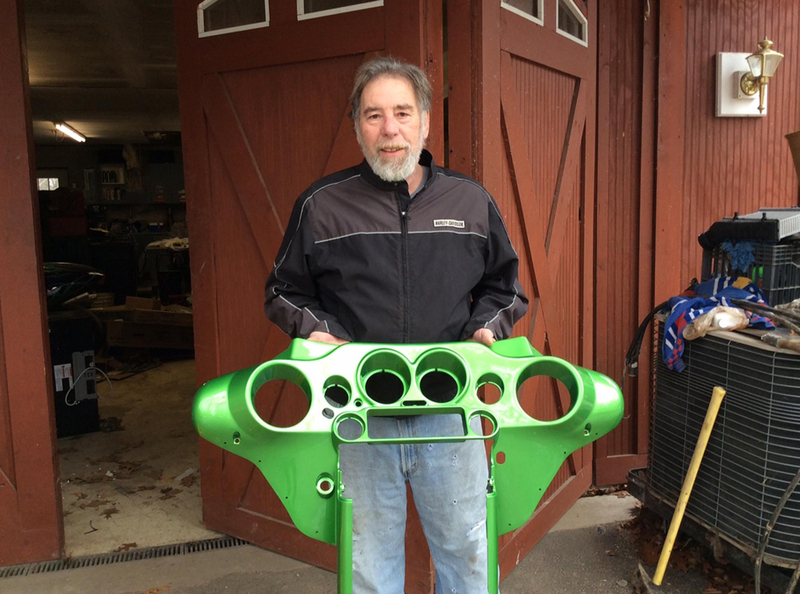 Contact us today at 410-937-3766 for custom motorcycle parts, a custom side car, braided cable, custom motorcycle accessories and custom motorcycle paint jobs.